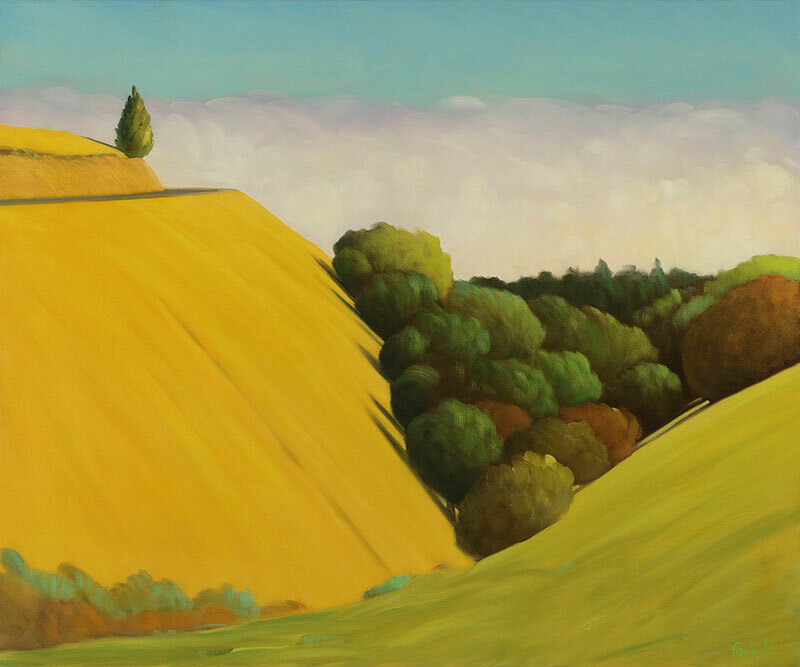 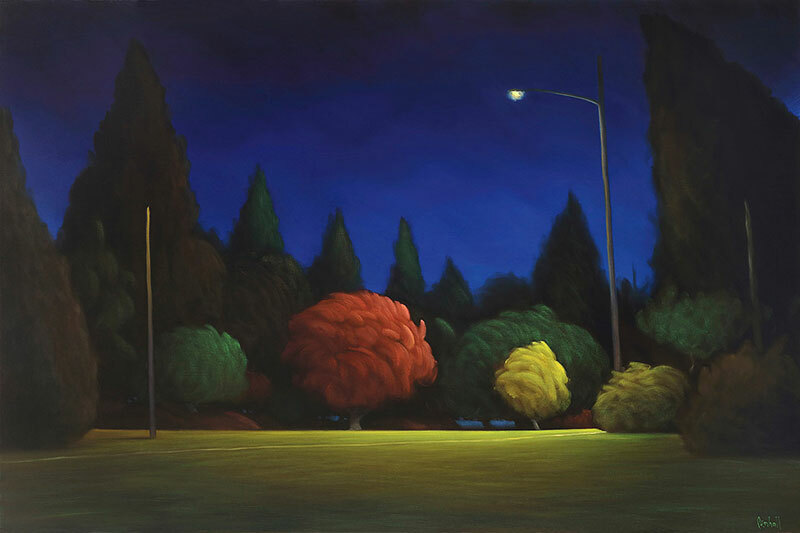 Paintings of volumetric landscapes saturated with color by Vancouver-based artist Ross Penhall. 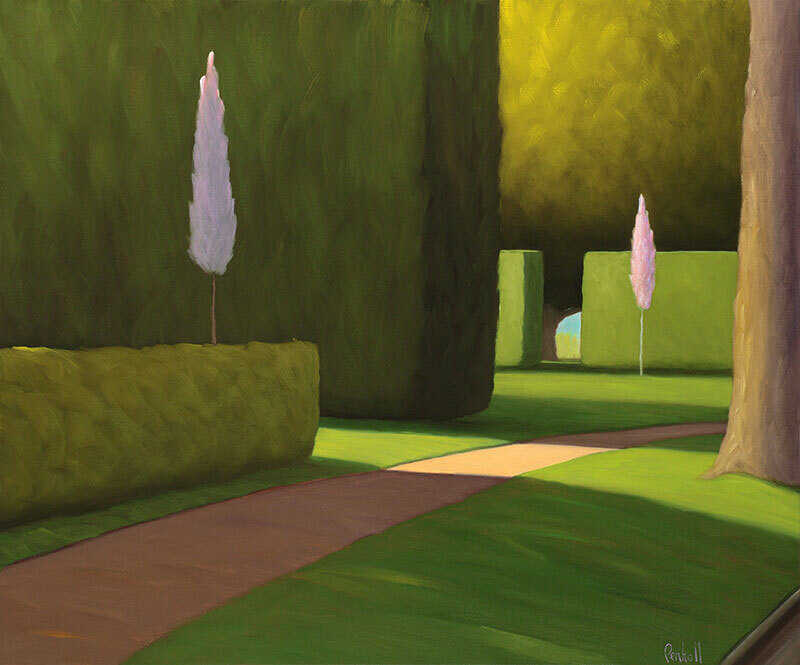 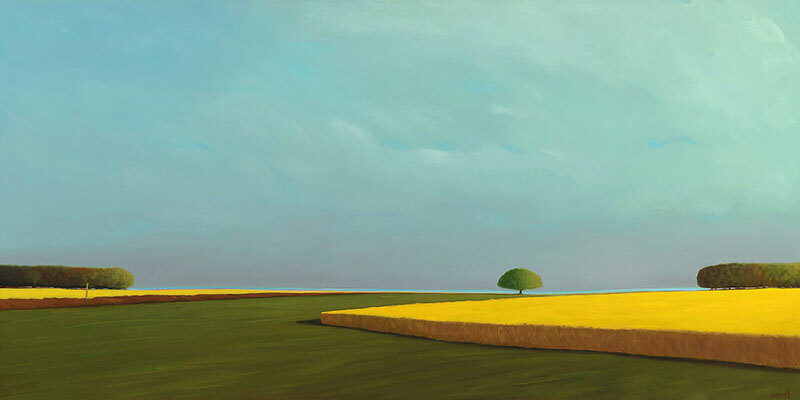 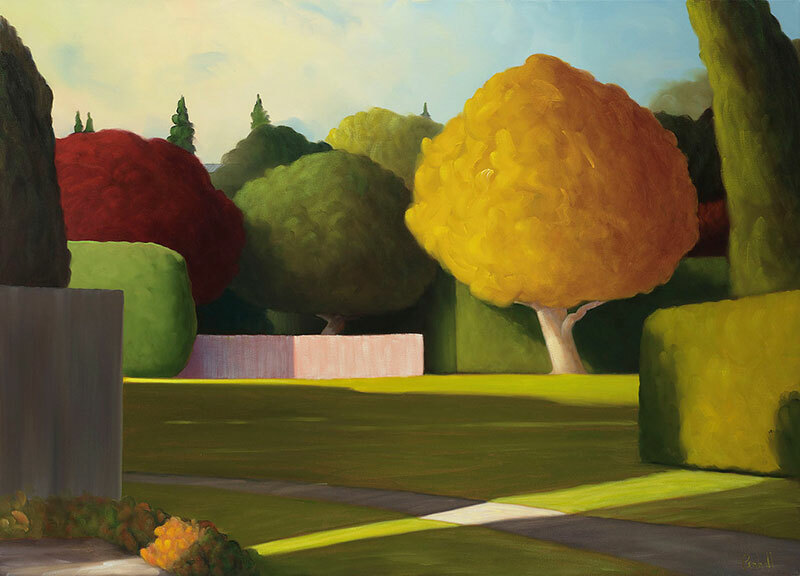 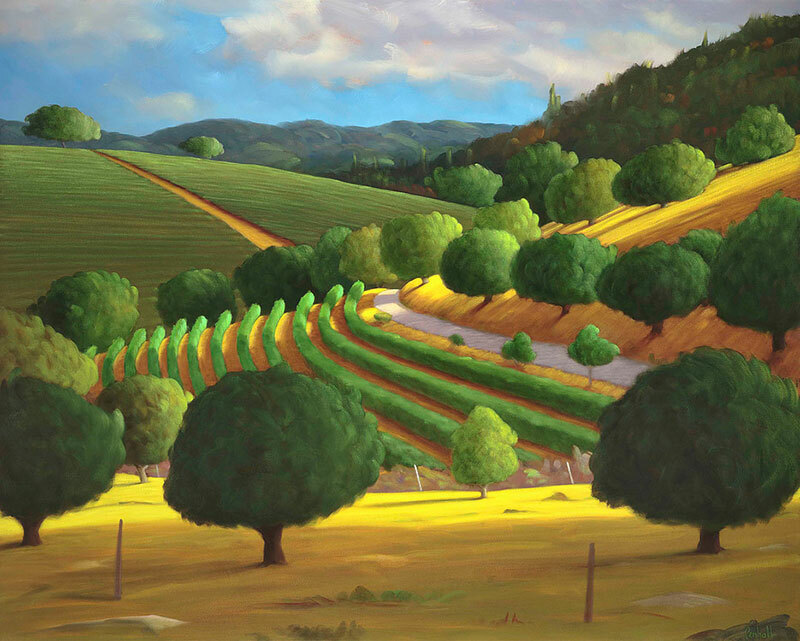 Focusing on nature as shaped by human hands, his enigmatic paintings depict manicured urban landscapes such as groomed lawns, pruned trees and shaped shrubbery arranged in a symmetrical fashion that speaks of an orderly world. 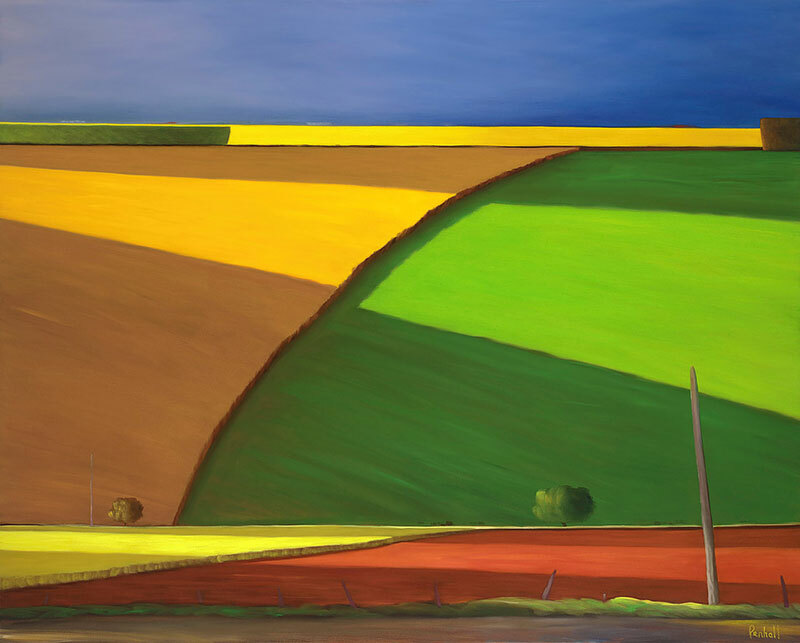 Rather than depicting a scene in a realistic way, he transforms it into something entirely new by flattening, stylizing and simplifying forms, embellishing colors and exaggerating contrasts. 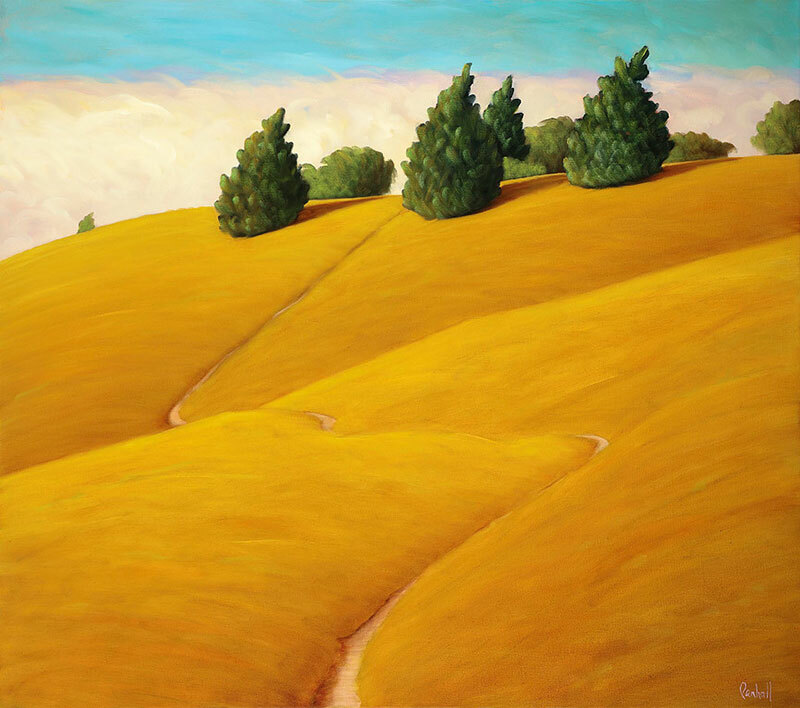 Penhall is fascinated by the ways in which we bend nature to suit our needs—the paths we carve through it, the speed with which we traverse it, the manicured shapes we give it. 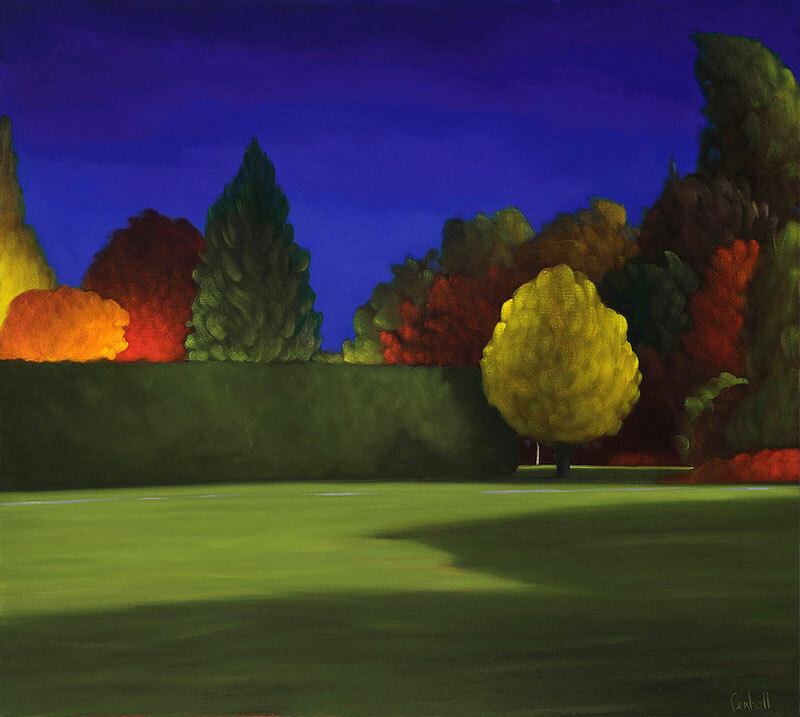 Paintings of volumetric landscapes saturated with color by Vancouver-based artist Ross Penhall.